My First Blog Post… The Bedbugs Are Gone! Happy New Year! 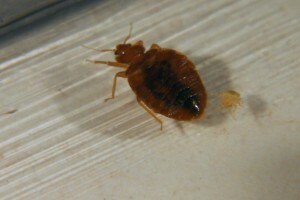 Bed bugs are truly pests. Hello, Internet Surfers. I am excited to be posting my first blog entry. As a 2011 New Years Resolution of mine, I am off to a great start. I aim to post something new at least every week. But i will try to make it more often than that. The story illustrates the devastation that bed bugs cause people, and the reason that hotels, moving companies, and many other businesses should be paying close attention to these little critters. Please post your thoughts and comments as to who is to blame in these cases.